Whether you’re experiencing pain in your gums, you’ve lost a tooth, or you’re simply concerned about your oral health, there’s never a bad time to look into finding the right periodontist here in Tukwila. Not only do you want a periodontist who’s knowledgeable, but you need someone who is looking out for your best interest and is focused on your long-term success. One of the ways to differentiate between a “good” periodontist and a “great” one is by their certification. 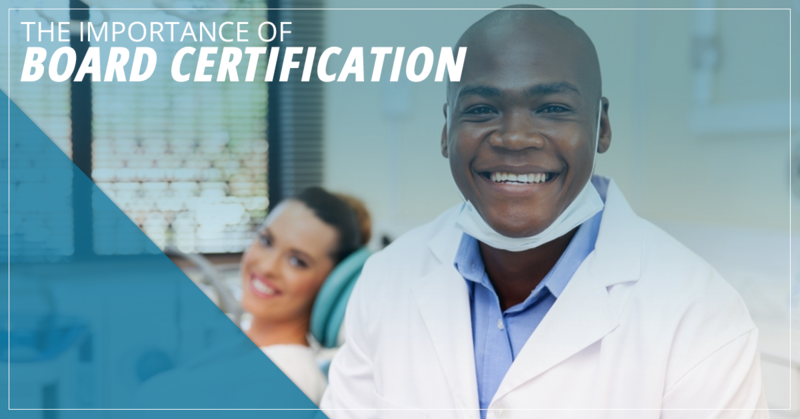 Certification as a dentist – A periodontist must have a basic college education and complete dental school to earn either their DDS or DMD degrees. Certification as a periodontist – Accredited by Commission on Dental Accreditation of the American Dental Association, a candidate must complete an educational program in Periodontology. Comprehensive exams – A candidate must pass a rigorous and comprehensive exam of periodontal treatment and dental implant surgery to qualify. Recertification every six years – A candidate must continually meet industry standards in order to maintain their certification. Many people are not aware that there is no requirement for a practicing periodontist to remain certified by the ABP. All that is required is a doctoral degree in dentistry or dental surgery and training in periodontics. As such, it’s very important that you make sure you’re always working with a board-certified periodontist so that you’re always receiving the most state-of-the-art treatment as outlined by the board. If you would like to search a database of board-certified periodontists, you can do so here. Essentially, board certification is a way for exemplary periodontists to stand out in their field of work. Although you can certainly work with a periodontist who is not certified, it is a sign that they either aren’t very experienced or they haven’t put in the time or the effort to become certified. When you work with a board-certified periodontist, you can expect a more accurate diagnosis, better treatment, and better long-term results. Led by two diplomates of the American Board of Periodontology, Dr. Darrin A. Rapoport and Dr. Ralf F. Schuler, Same Day Implants is focused on the long-term oral health of its patients. If you have severe periodontal disease or a missing tooth, you may qualify for a same-day dental implant. In certain cases, full arch All-On-4 dental implants can also be completed in one day. If you would like to learn more about our doctors’ qualifications, you can do so here. If you’re ready to book an appointment, give us a call today.